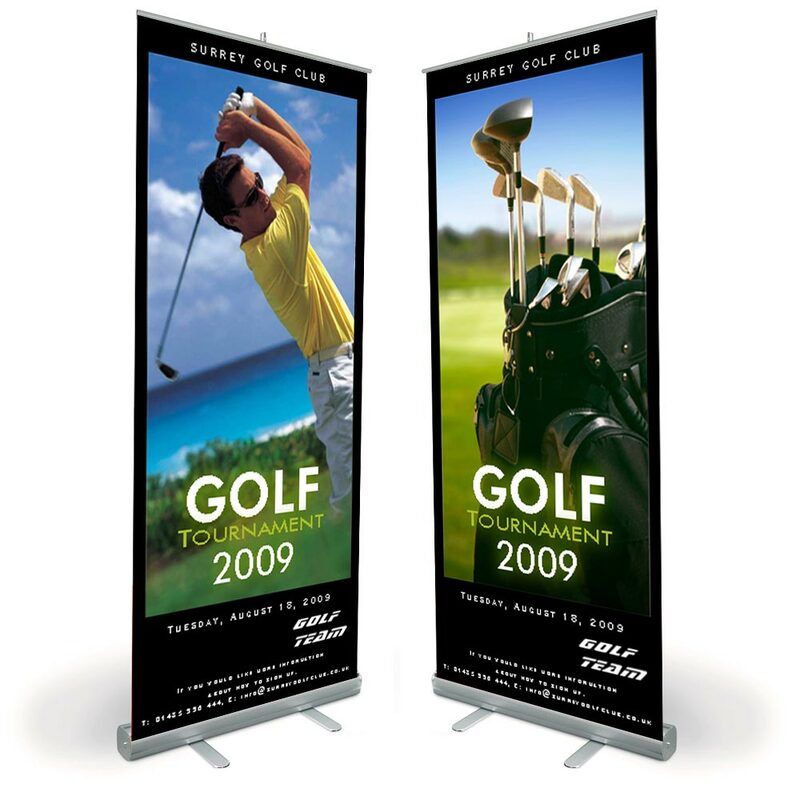 Retractable Banner Displays have become the easiest and most convenient way to showcase you company’s brand or products. 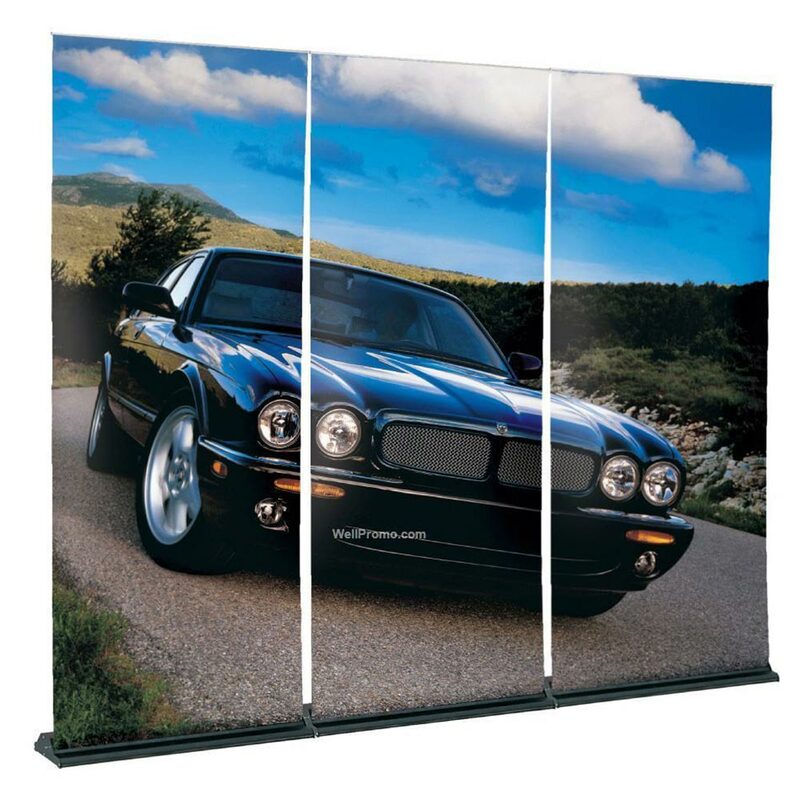 They are available in a wide range of sizes and heights. 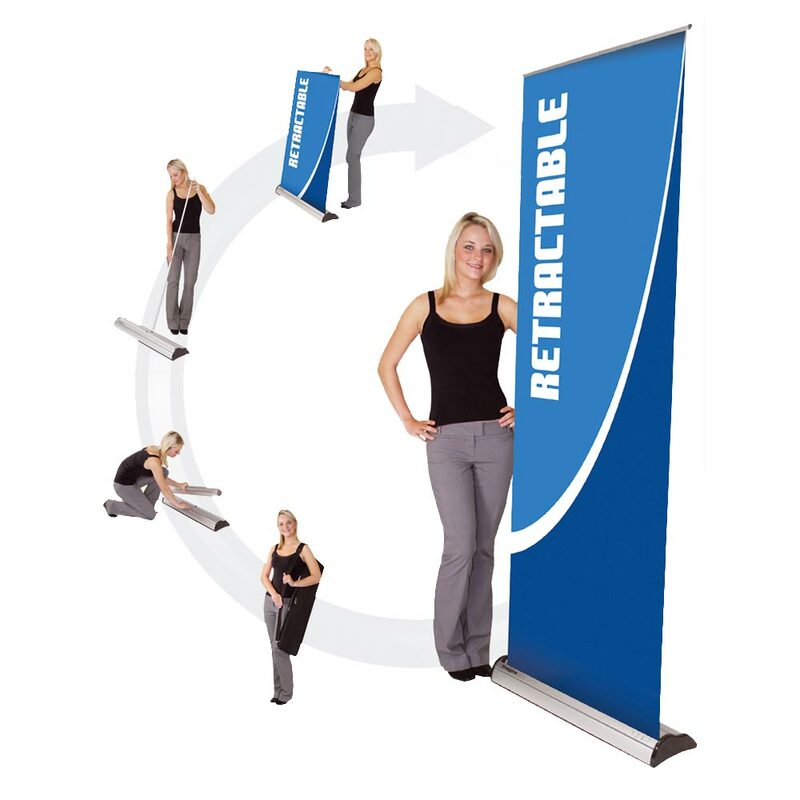 The best advantage to the retractable banner is that the graphics are stored and protected in the base when not in use or traveling. 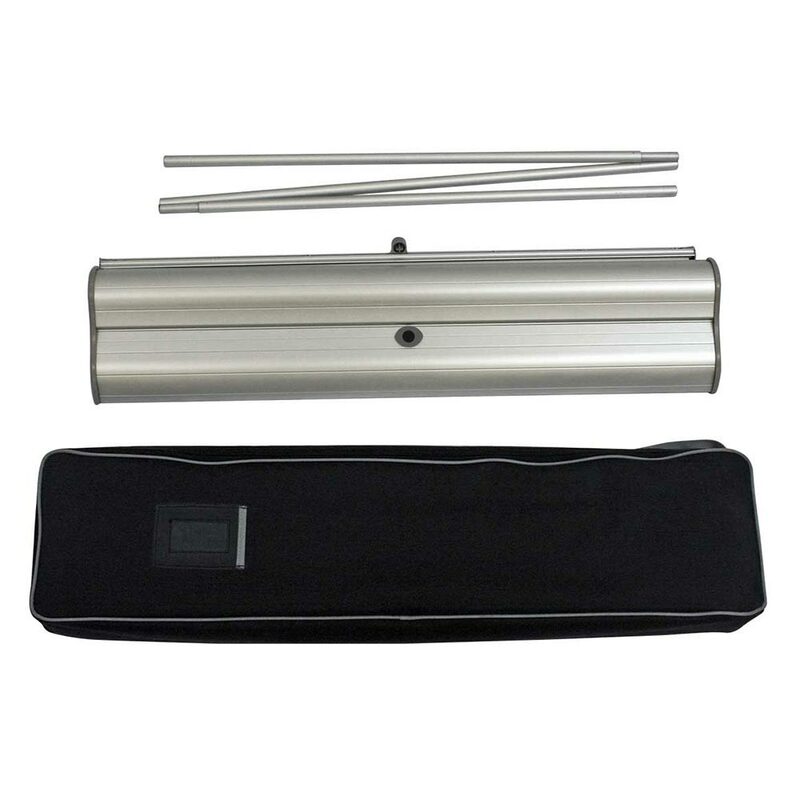 Retractable systems’ spring recoil mechanism speeds set up and dismantle. 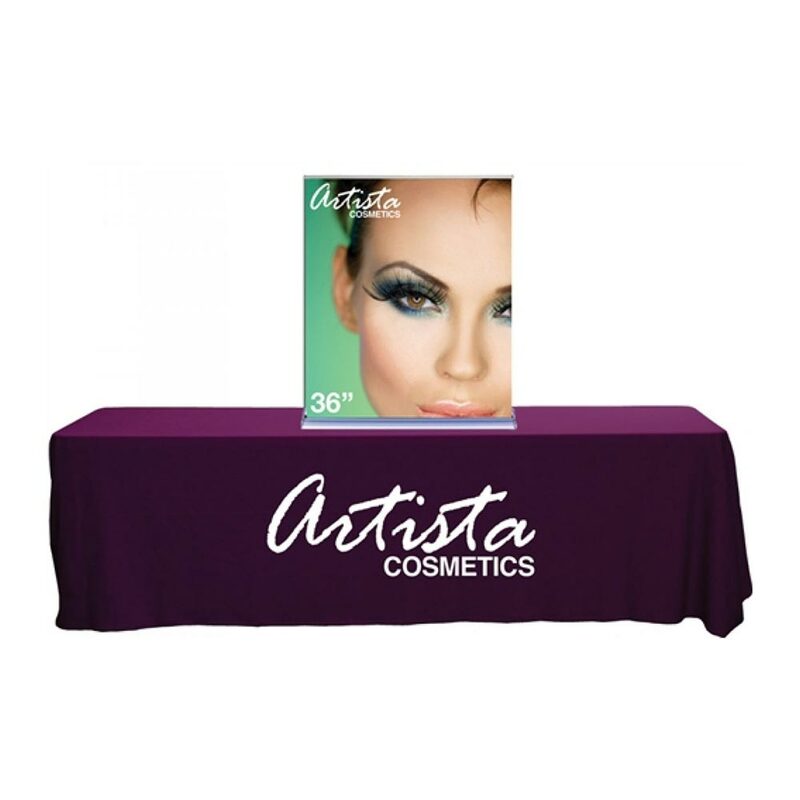 Graphics rollup and retract into the base where they are stored inside when not in use. 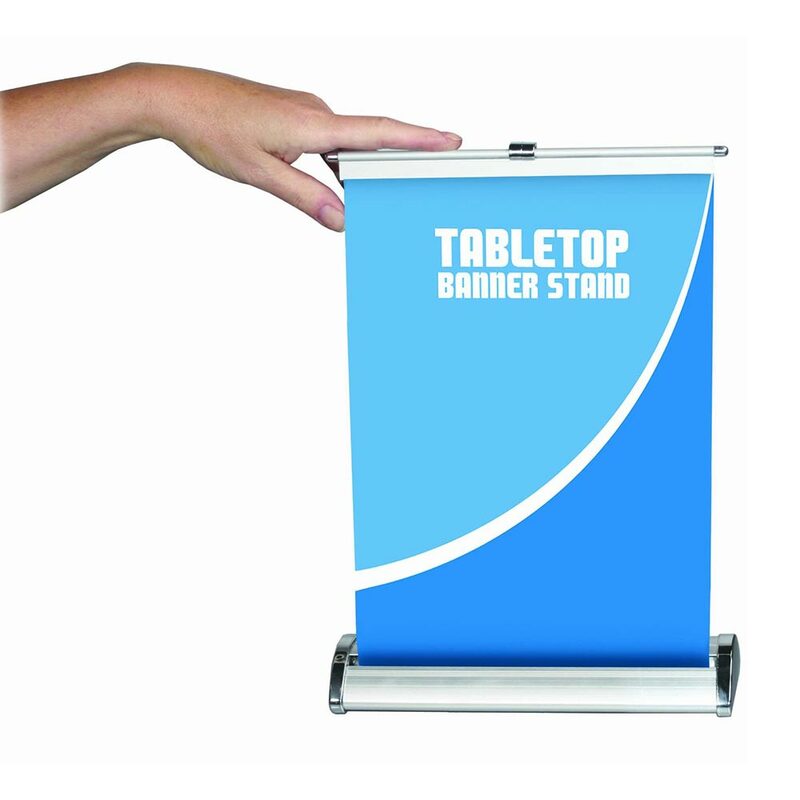 Some stands with adjustable telescoping heights can be used as full size or tabletop versions. 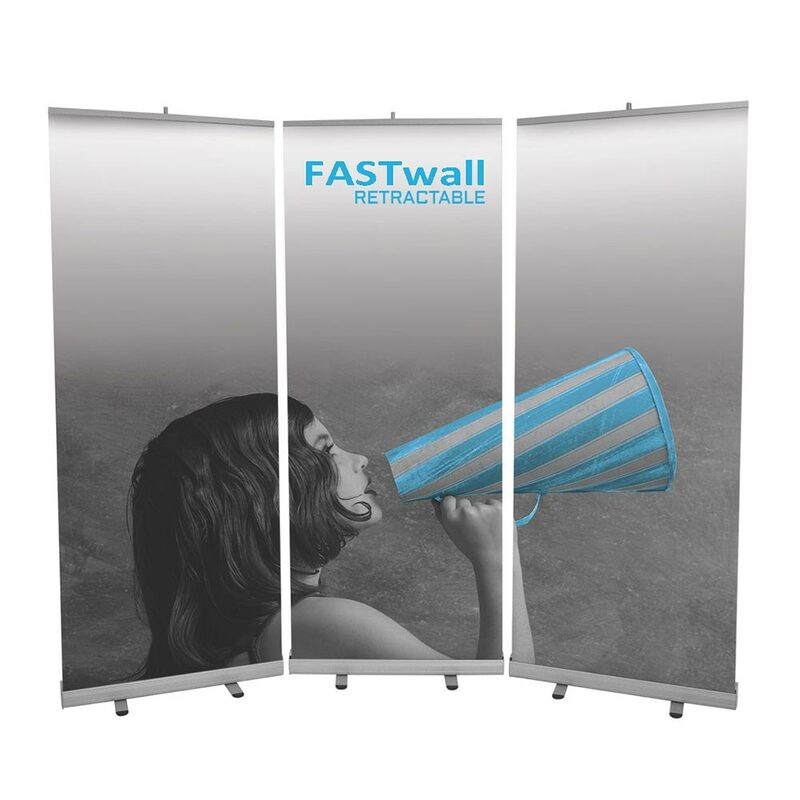 Available in widths up to 8 feet with options on most for one sided or double sided use. 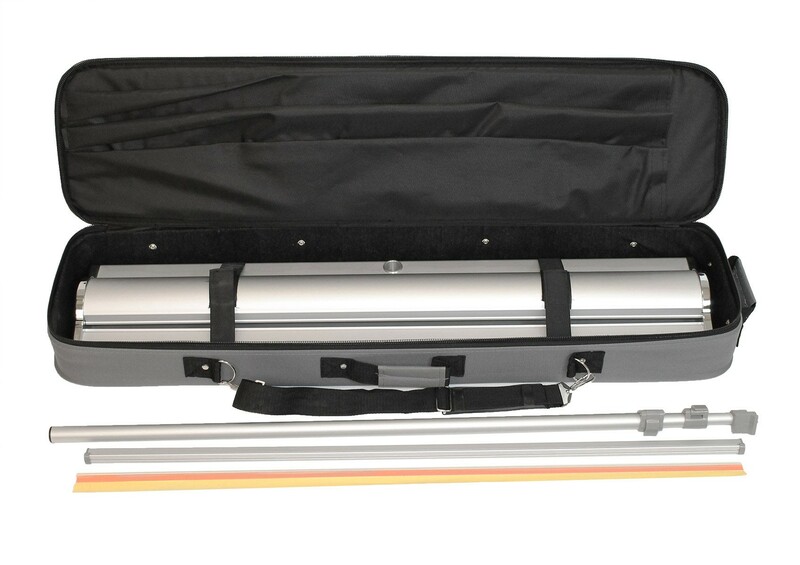 These flexible, lightweight units are easy to transport. 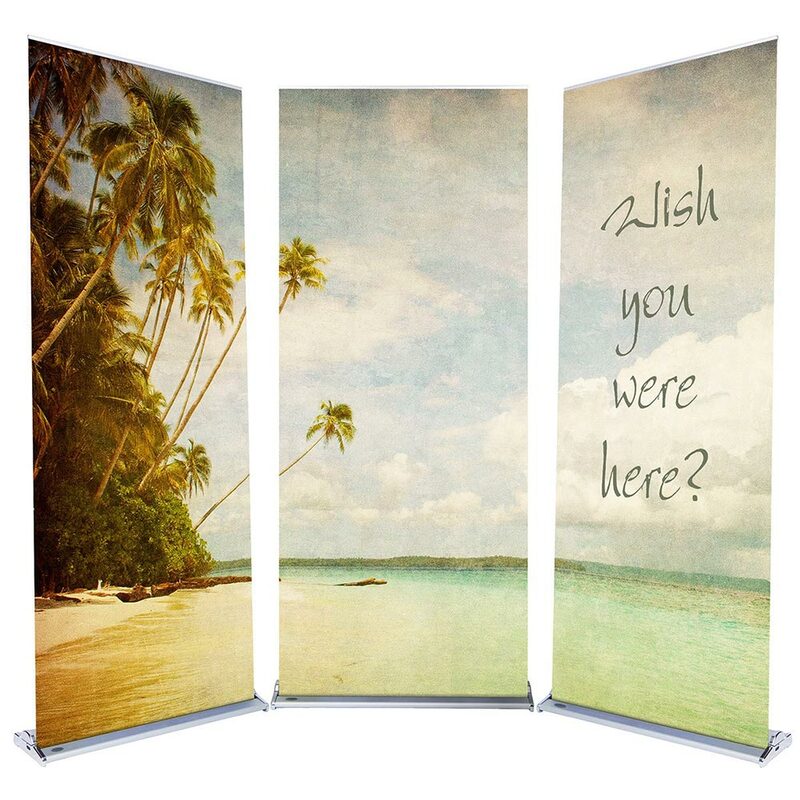 Most can accommodate changing out multiple graphics over the life of the stand. 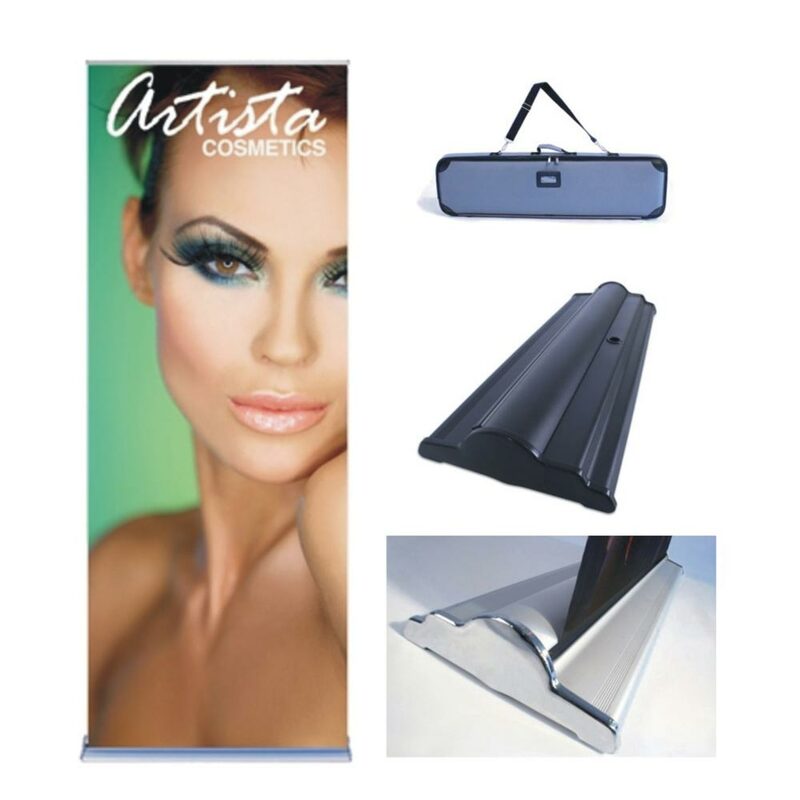 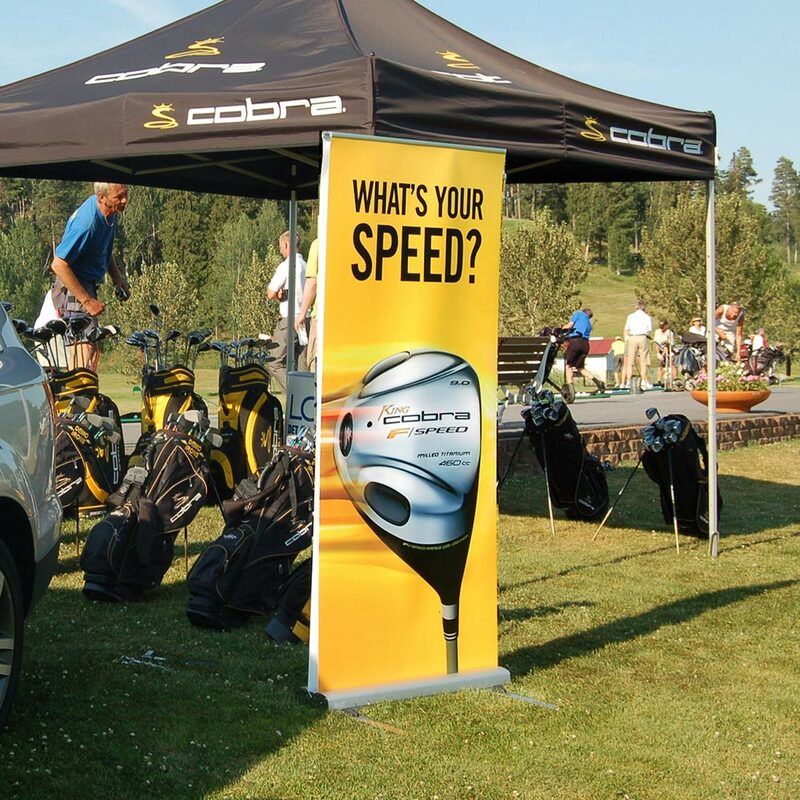 Our wide selection of banner stands and displays are sure to fit your needs. 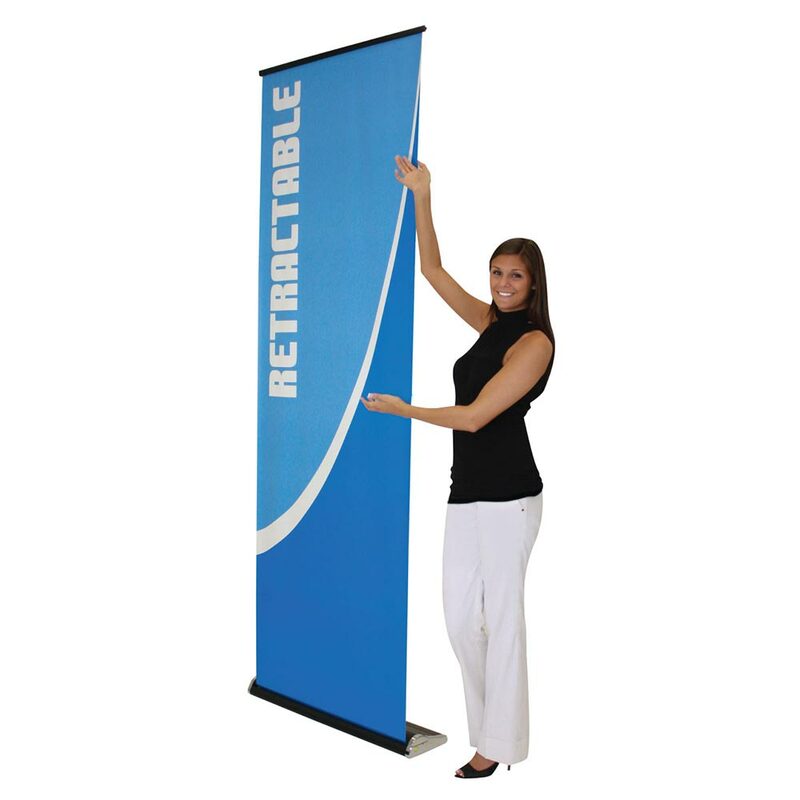 Below are our most popular retractable banner stands and you can click here to see specifics and pricing.